transport audiences to early 20th century Atlantic Canada. Based on the beloved Canadian novel by Lucy Maud Montgomery, this production follows the adventures of Anne Shirley, an orphan girl sent to live on a farm in the fictional town of Avonlea, Prince Edward Island. 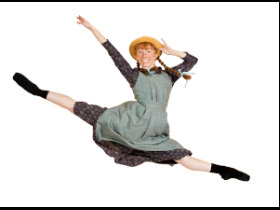 ﻿Canada's Ballet JorgenAnne of Green Gables – The Ballet™Anne of Green Gables- The Ballet™ is a playful, colourful and evocative production that willtransport audiences to early 20th century Atlantic Canada. Based on the beloved Canadian novelby Lucy Maud Montgomery,this productionfollows the adventures of Anne Shirley, an orphan girl sent to live on a farm in the fictional town of Avonlea, Prince Edward Island.